The Paris Agreement on climate change, negotiated during the summer of 2016, saw a number of countries agree to take large steps towards limiting the amount of carbon dioxide they produce in a bid to prevent widespread, irreversible damage to the planet. An LSBU backed venture, Luz Consultancy run by LSBU graduate Alessandra Lopes and her co-founder Fergal McEntee, is helping Brazilian businesses do their bit in contributing to these ambitious targets, by attracting UK investment into Brazilian solar energy projects. Alessandra’s business model is simple, she brings together UK investors and Brazilian businesses. The UK investors contribute to the cost of installing solar power systems on premises owned by the Brazilian businesses, they then sell the electricity generated by the system back to the company. Luz Consultancy would like to take their mission one step further, installing a smaller system at a school for every business installation they are funded to make. “It will help teach the new generation of Brazilians about climate change and renewable energy,” says Alessandra. “It’s something that’s really important to me. We can’t deny that climate change is happening now – the evidence is all around us,” she says. Alessandra is optimistic that the future is bright. 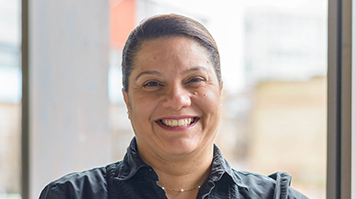 Alessandra received business support from LSBU’s Graduate Entrepreneurship Scheme. Read more about the business support on offer at LSBU.